The cemetery? 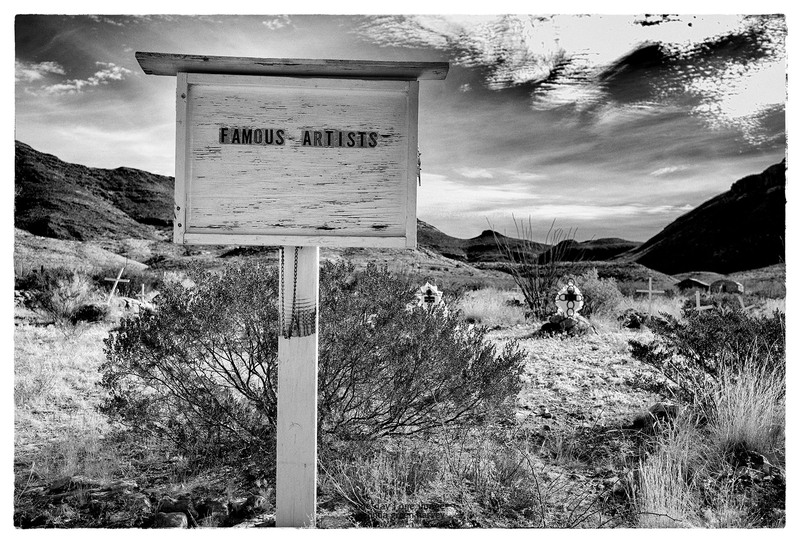 The Famous Artists are at the cemetery? I’ve got to be honest here – that’s a little discouraging. Posted on November 24, 2017, in Photography and tagged 365 photo project, black and white photography, cemetery, desert, far west texas, learning to see, Leica, melinda green harvey, monochrome, one day one image, photo a day, photography, postaday, shafter, shafter texas, texas, thoughtful seeing. Bookmark the permalink. 4 Comments. Maybe they expect one or more in the future. Then perhaps one or more are there though forgotten. Famous is so fleeting !